As with all racing vehicles, correctly and accurately set front-end geometry is vital to get the most out of any kart. 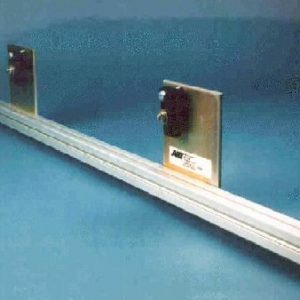 Handling, grip, tyre wear and even acceleration can be adversely affected by poor settings caused by neglect, damaged / worn components, and most commonly by inaccurate or inadequate alignment methods or technique. Despite both having four wheels, kart chassis setups are quite different to car chassis (the kart chassis itself effectively forming the ‘suspension’ members and ‘springs’, having a very wide track to wheelbase ratio, and completely lacking a differential). 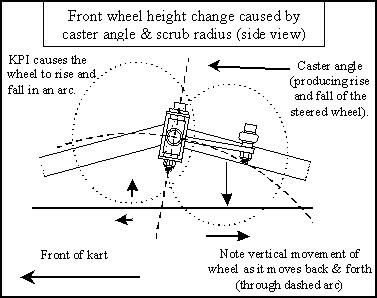 Because of this, a kart’s steering geometry settings also need to be different to make the kart steer and handle properly. Karts share all of the same steering geometries as cars, but by comparison some of the settings on a kart are somewhat exaggerated. 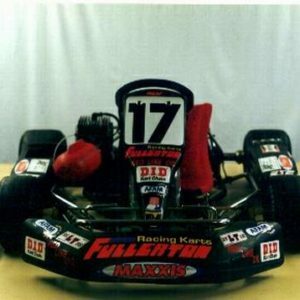 A kart’s combination of solid rear axle (no differential) and very short wheelbase relative to a relatively very wide track presents particular problems for a kart’s front-end geometry.